Register to Opinion Shoppers and start receiving surveys in your email inbox or thru our app! You will get paid for every survey you take! You are free to complete only the surveys you like. Start making money by sharing your opinions today! Earn up to cash for each survey! We make sure you are fairly compensated for your opinions. Win VIP Sports & entertainment prizes! Each survey you take will get you a ballot toward our monthly sweepstakes! Your information is secured. Privacy is important to us. 100% Free! We won’t ever charge you for participating. Interesting Topics. Our panel will match you with surveys that fit your interests. 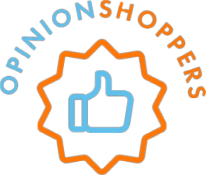 If you are already a member of the Opinion Shoppers community, login here to check your profile, share your opinions, and win great rewards and cash!